33STV - 33cm Satellite TV System for Europe. The perfect choice for small power and sailboat owners from 6 - 7.6 metres (20' - 25') looking to experience the best in on-board entertainment. 37STV - 37cm Satellite TV System for Europe. 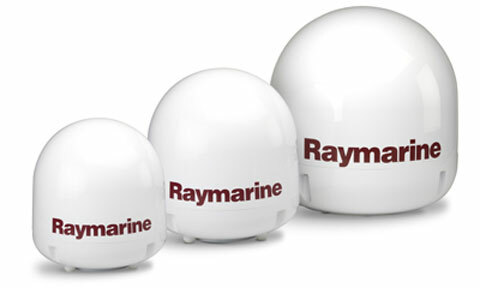 The space saving Raymarine 37 STV system is designed for vessels between 7.6 - 10.7 metres (25' - 35'). At just 37 cm (14.5") diameter, this antenna is perfect for tight locations. 45STV - 45cm Satellite TV Antenna System for Europe. A great blend of size and performance, the Raymarine STV45 makes satellite television at sea a reality for owners of 10.7 - 15 metres (35' - 50') vessels. 33STV - 33cm Satellite TV System for North America. The perfect choice for small power and sailboat owners from 6 - 7.6 metres (20' - 25') looking to experience the best in on-board entertainment. 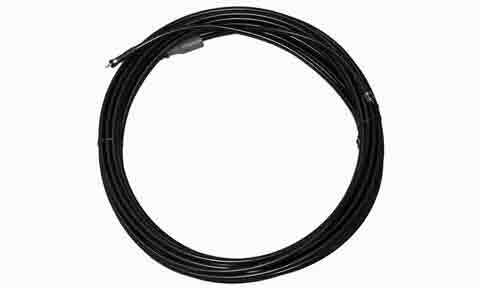 45STV - 45cm Satelitte Antenna HD System Pack North America. A great blend of size and performance, the Raymarine STV45 makes satellite television at sea a reality for owners of 10.7 - 15 metres (35' - 50') vessels. 37STV - 37cm Satellite TV System for North America. 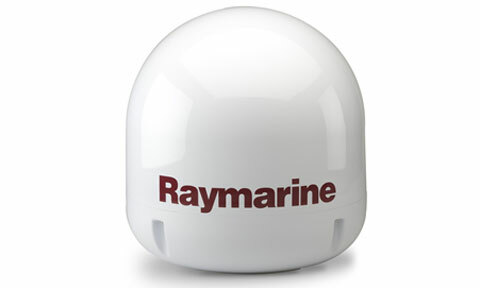 The space saving Raymarine 37 STV system is designed for vessels between 7.6 - 10.7 metres (25' - 35'). At just 37 cm (14.5") diameter, this antenna is perfect for tight locations. 45STV - 45cm SatelliteTVAntenna System for Latin America. A great blend of size and performance, the Raymarine STV45 makes satellite television at sea a reality for owners of 10.7 - 15 metres (35' - 50') vessels. 37STV - 37cm Satellite TV System for Australia. 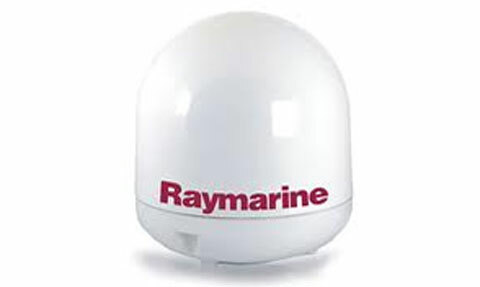 The space saving Raymarine 37 STV system is designed for vessels between 7.6 - 10.7 metres (25' - 35'). At just 37 cm (14.5") diameter, this antenna is perfect for tight locations. 45STV - 45cm Satellite TV Antenna System for Australia. A great blend of size and performance, the Raymarine STV45 makes satellite television at sea a reality for owners of 10.7 - 15 metres (35' - 50') vessels. 37STV - 37cm Satellite TV System for China and New Zealand. 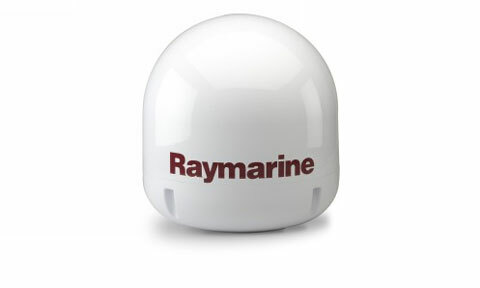 The space saving Raymarine 37 STV system is designed for vessels between 7.6 - 10.7 metres (25' - 35'). At just 37 cm (14.5") diameter, this antenna is perfect for tight locations. 33STV - 33cm Satellite TV System for New Zealand. The perfect choice for small power and sailboat owners from 6 - 7.6 metres (20' - 25') looking to experience the best in on-board entertainment. 45STV - 45cm Satellite TV Antenna System for China and New Zealand. A great blend of size and performance, the Raymarine STV45 makes satellite television at sea a reality for owners of 10.7 - 15 metres (35' - 50') vessels. 37STV-37cm Satellite TV system for China inc Sat9. 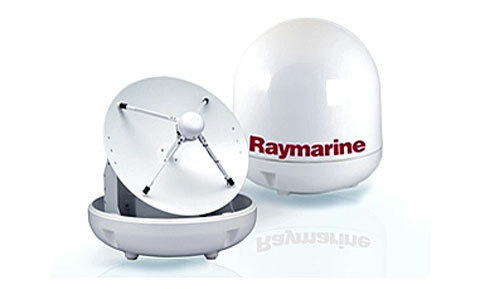 The space saving Raymarine 37 STV system is designed for vessels between 7.6 - 10.7 metres (25' - 35'). At just 37 cm (14.5") diameter, this antenna is perfect for tight locations. 45STV - 45cm Satellite Tv Antenna System for China inc Sat9. A great blend of size and performance, the Raymarine STV45 makes satellite television at sea a reality for owners of 10.7 - 15 metres (35' - 50') vessels.